Eric doesn’t let a little chain snap end it for him! Turns out it was his first cyclo cross event. Two more to go this season Eric — be there! Thanks for capturing my finish with the great photo. What an awesome day of racing and just glad that I blew my chain on the last lap with only a little bit to go. The “beach” was the demise of my chain, so luckily not too far to run. 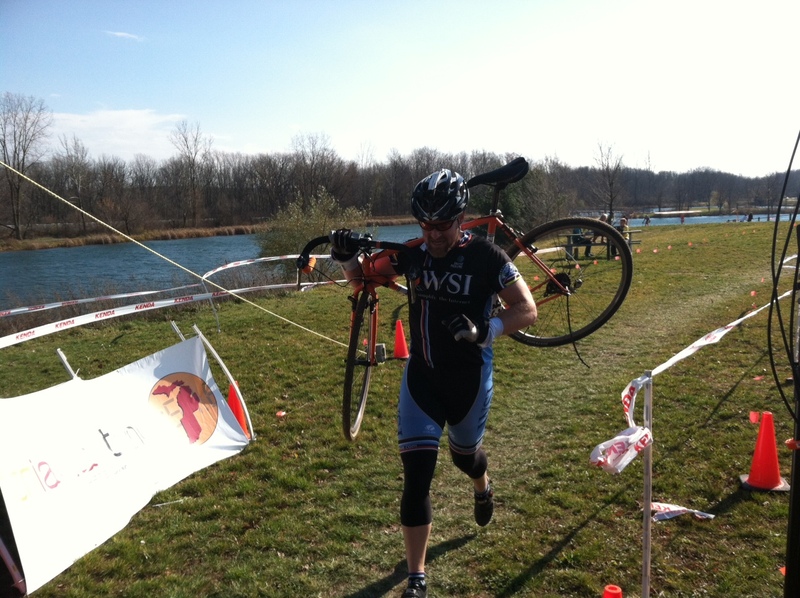 My first cyclocross race and debated about doing the “C” race, but figured I’d get my money’s worth and race “B”. Great time, great weather and the beer was nice and cold – an extra bonus!